We have shared quite a few good Partition Managers for Windows like Paragon Hard Disk Manager, AOMEI Partition Assistant Pro and EASEUS Partition Master Professional, all of which were free under a promo for a limited period only. However, MiniTool Partition Wizard Home Edition is a much powerful and advanced utility for the job and is absolutely free. MiniTool Partition Wizard Home Edition is a free partition manager software supporting Windows XP, Vista, Windows 7 and Windows 8 (32/64bit). Main features include - resizing partitions, Copying partitions, Create partition, Extend Partition, Split Partition, Delete partition, Format partition, Convert partition, Explore partition, Hide partition, Change drive letter, Set active partition, Partition Recovery. The software also features the ability to format partitions in popular Linux filesystem ext4 (3/2/1), this feature is missing in majority of the other Windows based partition managers. * Extend partition with one step. * Split one partition into two safely. * FULLY Support 4096-byte-sector-based hard drive. * Align all partitions or align a specified partition to optimize hard drive performance. * Support Windows 2000/XP/Vista/Windows 7 and Windows 8 (32 bit & 64 bit) operating system. * Extend system partition to maximize computer performance. * Manage the hard disk for substantial performance increase. * Create, Delete and Format partitions with simple steps. * Partition Copy: Copy the entire content of one hard disk to another. * Copy Disk Wizard: Copy the entire hard disk to another without having to reinstall Windows. * Hide/unhide partition, set active partition, etc. 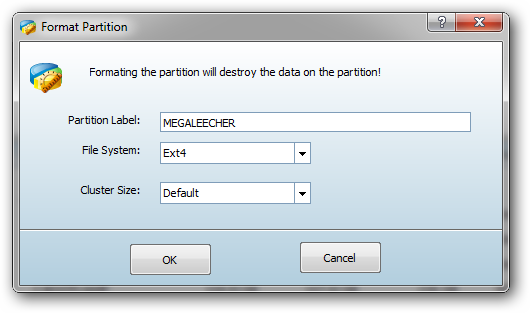 - Change partition properties easily. * Set partition as primary/logical. * Change Partition Serial Number and Type ID. * Hot Extend Partition without reboot. thanks for your sharing, convert mbr to gpt without data loss. It does not see the Partition i want to format as Ext4. With Windows i can format it as FAT, FAT32, NTFS and exFAT, it gives it a letter and i can use it, but it is not seen in MiniTool Partition Wizard, so i can not tell MiniTool Partition Wizard to format it as Ext4 (neither as FAT32, etc). MiniTool Partition Wizard only see Physical Main Disk (the ones identify as HD#:, it does not see any IFS: one), it does not see all the rest of Disks, neither a TrueCrypt / VeraCrypt disk, etc. It may not be a BUG on MiniTool Partition Wizard, just something not yet implemented. With BootIce (one that can see also IFS: drives) i can see the partition (it show the partition as a whole IFS: drive, obviously not as HD#:). With Windows i can format it as FAT, FAT32, NTFS and exFAT, write files on it, read from it, verify written files, etc. Simple test: Create with VeraCrypt a dynamic 1GiB file container (without format), then mount it, BootIce will see it as a IFS: not HD#: and Windows will let you format as FAT, FAT32, NTFS and exFAT, but MiniTool Partition Wizard will not even see it.